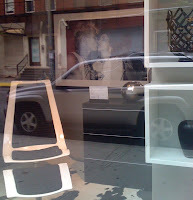 Wandering the streets in search of sales, I found two dark divas hocking wares. 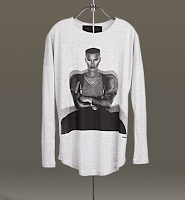 Grace Jones for Zara, and Billy Idol for BoConcept? Slave-to-the-Rhythm office wear and Flesh-for-Fantasy furniture indeed.